There are several "pinch points" where the parallel Southern Pacific and Western Pacific mainlines across northern Nevada are forced into close proximity, making for prime photographic settings. One of these is Emigrant Canyon, east of Golconda, Nevada, reachable via Nevada State Route 18. 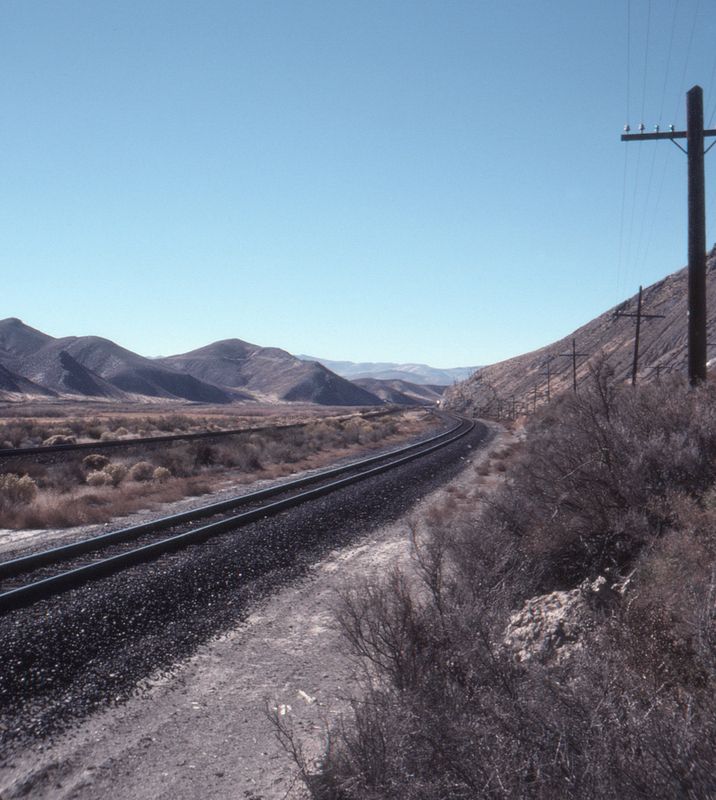 Here we see an approaching eastbound on Western Pacific rails; the Southern Pacific main is to the left, with the Humboldt River against the base of the hills to the far left.